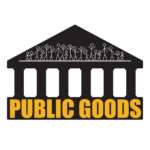 The Public Goods Post is produced by the Public Goods Institute, a not-for-profit charitable organization whose mission is to promote an understanding of, and appreciation for, public goods and the public economy. Your contribution will help us continue to make the Public Goods Post possible. The Public Goods Institute is a 501(c)(3) organization and your donation is tax-deductible. Your donation on this site is secure and you will receive an email receipt.